Choose polished 14k yellow or white gold. 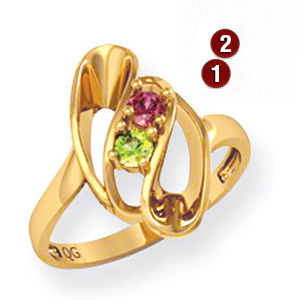 This ring offers stone personalization for 1-7 round gemstones. Each gemstone is 3.0mm in diameter. Choose simulated or genuine gemstones. Gold content weighs approximately 3.66 grams. Made in USA.